Best Product Under $500 For our Patented Drop Shackles. Best Product under $1500 for our Patented Super Flex Radius Arms. Late 2011 we will bring many new products to the 4×4 industry!!! To create award winning Premium 4X4 Accessories and 4WD Suspension autoparts that have not been developed by any other four wheel drive aftermarket manufacturer in Australia and around the world. Superior Engineering has become one of the best known Premium 4X4 Accessories and 4WD Suspension autoparts manufacturer and supplier in Australia and around the world. 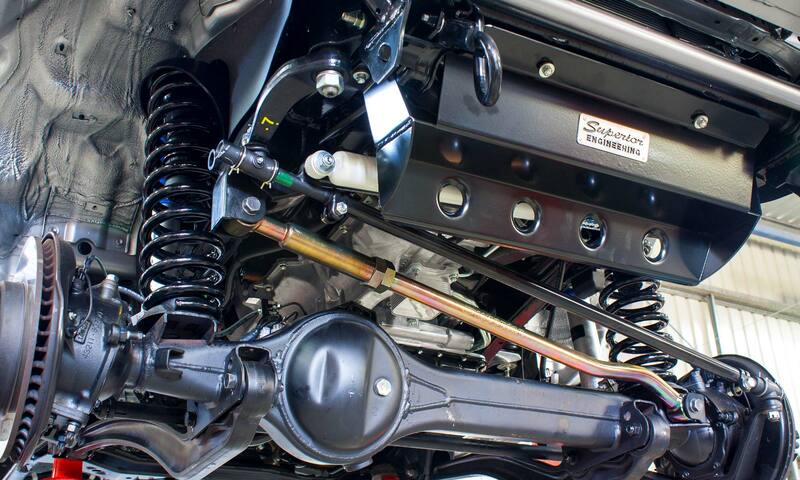 Here at Superior Engineering we strive to use the highest quality materials and expert workmanship to produce premium 4X4 products for our customers. We manufacture and supply a huge range of 4X4 products, accessories and suspension parts for almost every type of four wheel drive vehicle on the market. These include Super Flex and hybrid radius arms, drop boxes, shock absorbers, coil springs, leaf springs, steering arms, shackles, bushes, drop boxes, drag links, tie rods and control arms. We also supply suspension air bags, body protection plates, bull bars, chromoly heims, coil spacers, air compressors, e-lockers, exhaust systems, diesel power chips, snorkels, switches, winches, recovery gear, water tanks, lights, roof racks, rock sliders… basically everything you would ever need to get you offroad. Not only do we sell our own Superior Engineering brand but we also stock and distribute a complete range of 4X4 parts and 4WD accessories from other leading brands such as AmadaXtreme, ProFender, EFS, Bilstein, Tough Dog, Dobinsons, AirBag Man, Lucas Oils, Toyota Genuine Parts, Nissan Genuine Parts, Goat Built, Outback Armour, TREDs, GoPro and more. Even with such a massive range, we still ensure that the products we sell are of the highest standard… selling only the top brands and best quality items available on the market.